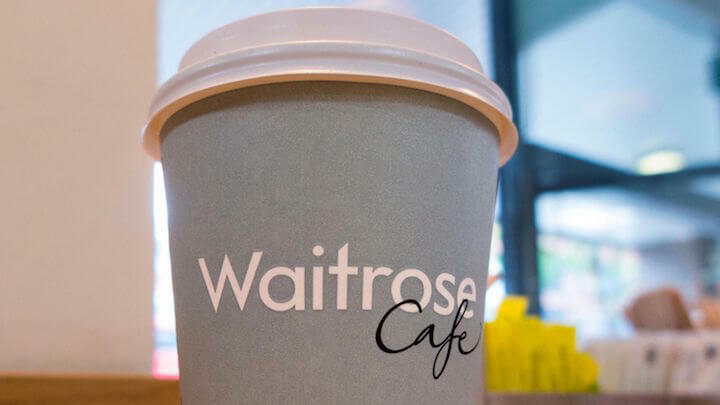 Waitrose is to ban takeaway coffee cups in a bid to reduce plastic waste, it has announced. Nine stores - in Banbury, Billericay, Newmarket, Ipswich, Norwich, Wymondham, Sudbury, Upminster in London and Fitzroy Street in Cambridge - will be removing disposable coffee cups as a trial from April 30. The remainder of Waitrose's estate is expected to follow suit by the autumn. The retailer stressed My Waitrose loyalty scheme participants will still be able to obtain a free tea or coffee from in-store self service machines, but will have to use a�re-usable cup. Waitrose said the move underlined its commitment to a reduction in plastic use and packaging. It estimates that around 52 million cups a year will be removed from landfill as a result of the new initiative. Official figures estimate around 2.5 billion disposable coffee cups are thrown away in the UK each year. The mixture of plastic and paper which make up such cups is difficult to recycle - indeed it is estimated only one in 400 is currently recycled.